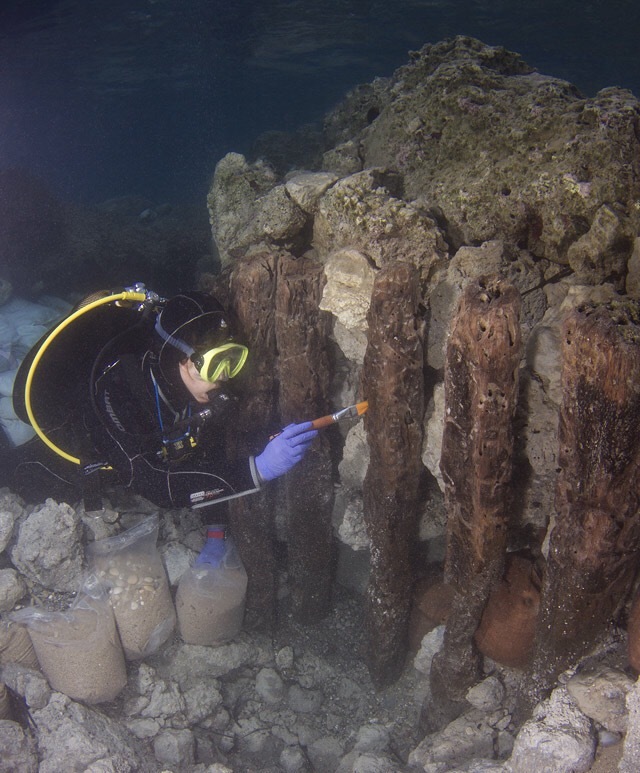 CORINTH, GREECE—According to The Greek Reporter, a team of archaeologists from the Greek Ephorate of Underwater Antiquities and the University of Copenhagen continues to investigate the ancient port of Lechaion, which served as Corinth’s main harbor for more than 1,000 years. The harbor complex had an outer harbor connected to a protected inner lagoon by a 650-foot-long canal built in the fourth century B.C. Topographic and geophysical surveys of the area revealed a large channel and several smaller channels connecting at least four harbor basins. Soil cores will help the researchers to learn more about the ancient landscape. The remains of a tower that protected the harbor entrance have been found, along with pieces of columns that may have been part of a colonnade lining the front of the harbor. A massive structure in the middle of the inner harbor is thought to have been the base of a lighthouse. The team also found an underwater wooden structure in the bay that may have been part of a pier.